My grandma is quite proud of her pies. In fact, she probably makes the best pie in several area towns, if not more. She still makes her crust from scratch, though she did give up using lard. A shame, if you ask me, but it’s pretty difficult these days to track down lard. It’s certainly been quite awhile since my grandma was able to get lard by the gallon. The containers she had looked just like the gallon containers of ice cream she bought. When I was a kid I tried to swipe a spoonful and discovered it definitely was NOT ice cream; never again did I confuse the two plastic buckets. Short of making my own lard, I stick to all butter pie crusts. These days Grandma uses shortening, and though I know my pies are not on the same level as hers, I have figured out how to get a very flaky crust, courtesy of very cold butter, careful mixing, and a little vinegar. My favorite pie, hands-down, is apple. It graces the table each year for Thanksgiving. It’s also the first seasonal autumn dessert that I make. 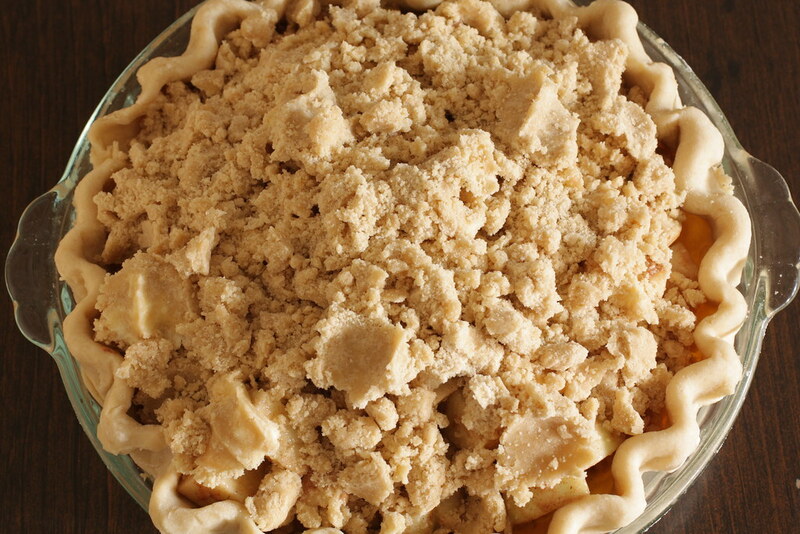 My number one apple pie eater always requests a crumb topping – it’s now second nature for me to only make enough dough for a single crust pie. And really, I have to confess, it’s super easy, as long as you don’t mind getting the mixture under your nails. Combine dry ingredients in a small container and place in the freezer for fifteen minutes. Place dry ingredients in the bowl of a food processor fitted with the S blade. Pulse to combine ingredients. Add the chilled butter and pulse five times. With the processor running on low speed, add the ice water and vinegar to the mixture through the feed tube. The dough will be tacky and you will see bits of butter. Dump the dough out onto a sheet of plastic wrap. Shape the dough into a disk and wrap in plastic wrap. Refrigerate for an hour or up to one day. 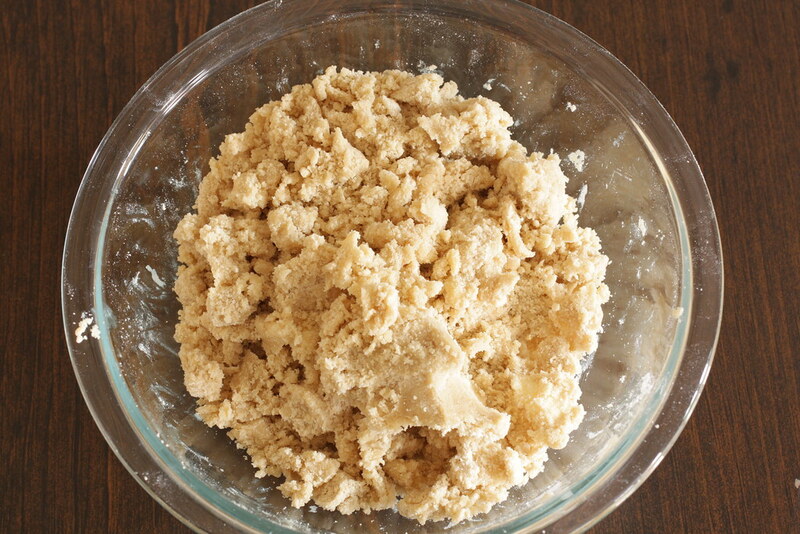 Remove dough from the fridge and flour both sides, as well as the rolling pin and board. Roll out the dough to a thickness of about 1/4 inch and fit into a 9 inch pie plate. Pinch the overhang under the sides, then crimp the edges with your fingers or a fork. Place pie plate in the refrigerator while you cut the apples. 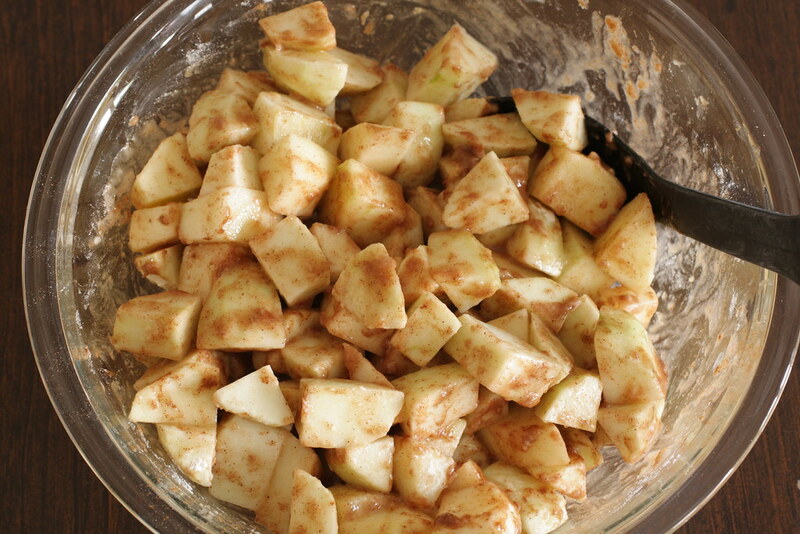 Combine the apples, flour, sugar, lemon juice and cinnamon in a large bowl. Stir and let sit for 10 minutes, or until the apples are juicy. 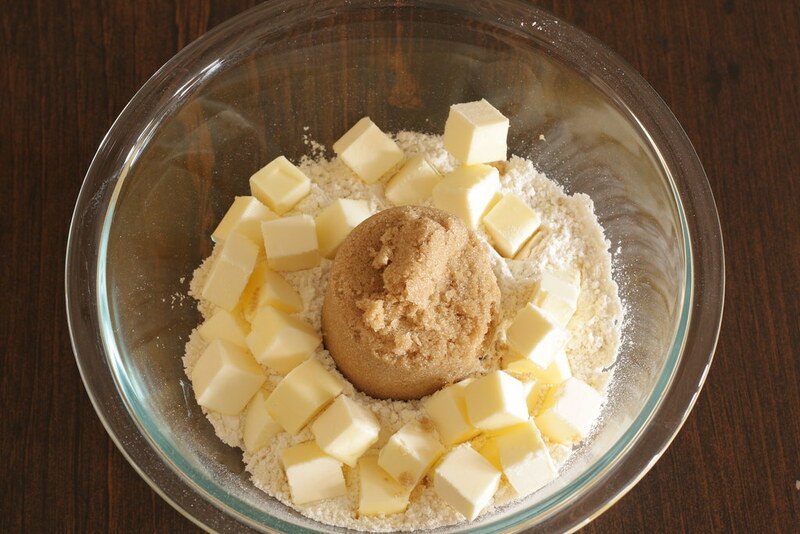 Meanwhile, add the ingredients for the crumb topping in a medium bowl. Mix with your fingers until combined. 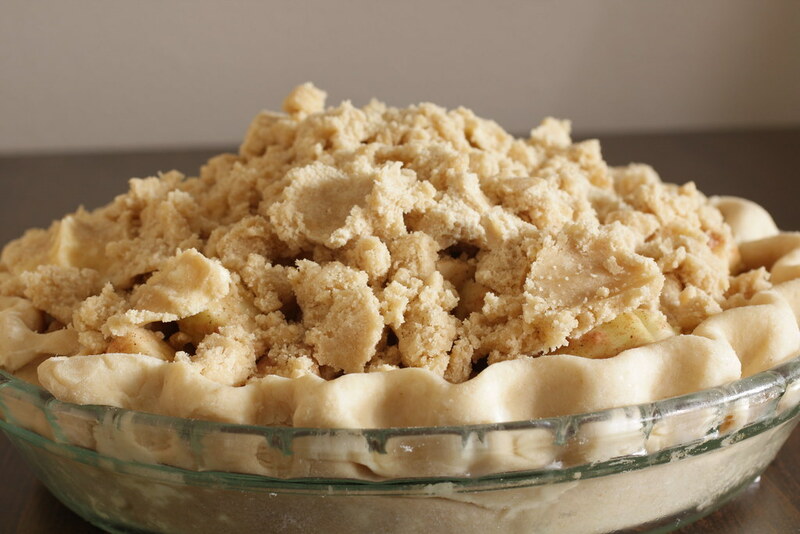 Add apples to pie crust, then top with crumble topping. Bake for 50 minutes, checking after about 30 minutes for browning; cover with foil if needed. Cool completely on a wire rack before cutting. I found your recipe on tastespotting, and I love it, it is delicious! Amy, I’m so glad you liked it! 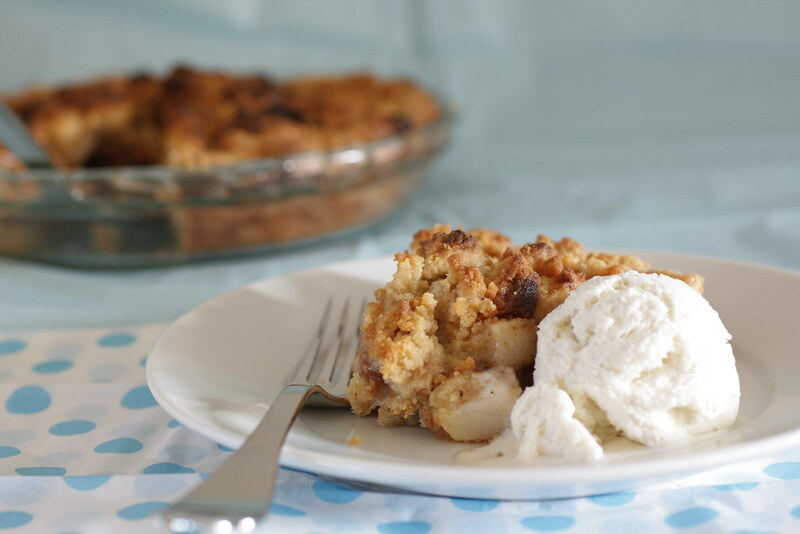 I admit, I love this recipe, plus it’s easier to top with a crumble than to futz around with a top crust. to take about 100 mg of bioflavonoids for every 500 mg of vitamin C.